The people of Amritsar, Jalandhar and Patiala municipal corporations will cast their votes to elect councillors for 222 wards. AMRITSAR: An approximate of nine percent voter turnout till 10 a.m has been recorded in the Amritsar Municipal Elections today. 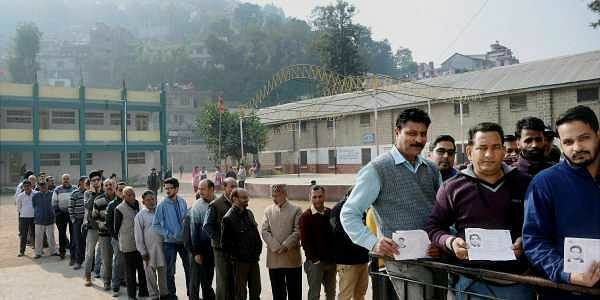 Civic polls to elect the representatives of three municipal corporations, 32 municipal councils and nagar panchayats in Punjab began today. As per the state election commission (SEC), voting will take place at 873 polling stations in the state with 1,938 polling booths. Security has also been beefed up in the wake of the ongoing polling in the state. The candidates of Congress, Shiromani Akali Dal-Bharatiya Janata Party and Aam Aadmi Party are competing with each other to sweep the polls. The voting will conclude at 4 pm, following which the counting for the same will begin.